In some ways the universality of these rpgs makes it tough to think of a hook for these headers. That, in itself, may say something about open-approach TTRPGs. But this morning I began to wonder about generic games in other media. A few occurred to me, but there must be others. Tabletop Simulator: A video game for building computer tabletop games. Essentially it’s a physics sandbox you can use to create and manipulate cards, pieces, a board, etc. I know that some have experimented with it for rpgs, in particular for handling games with lots of cards or strange dice. RPG Maker: This is pretty much a generic system, right? You can use it for any genre. You plug your story, characters, images, etc to get a game. Some designers have even done strikingly challenging work with it. If you build a world, you’re essentially the GM. 1000 Blank White Cards: A universal and emergent game which has the players drawing and writing rules and effects onto their cards. Storium: A online rpg system for any kind of campaign. Players plug in their stories and genre. The game offers some toolkits or you can build your own. 504: OK, maybe this is stretching things a little, but 504 could be considered universal. In Friedemann Friese’s experimental board game, you randomly determine the rules. Mix mixing three modular choices you get one of the 504 possible games. Each has distinct mechanics and a stated theme, but you’re free to put any interpretive spin on it you want. I have a Patreon for this project. If you like it, consider becoming a backer or resharing these lists to spread the word. I only include core books here. I’m also only listing books with a physical edition. I might include an electronic release if they’re notable and of significant size. At the end you’ll see some miscellaneous entries, covering borderline or similar cases. Some selections came down to a judgement call. I’m sure I missed some releases. If you spot something Universal which came out from 2005 to 2007, leave a note in the comments. A French rpg, originally offered as a free download. Later the publisher released the same product in a physical form. 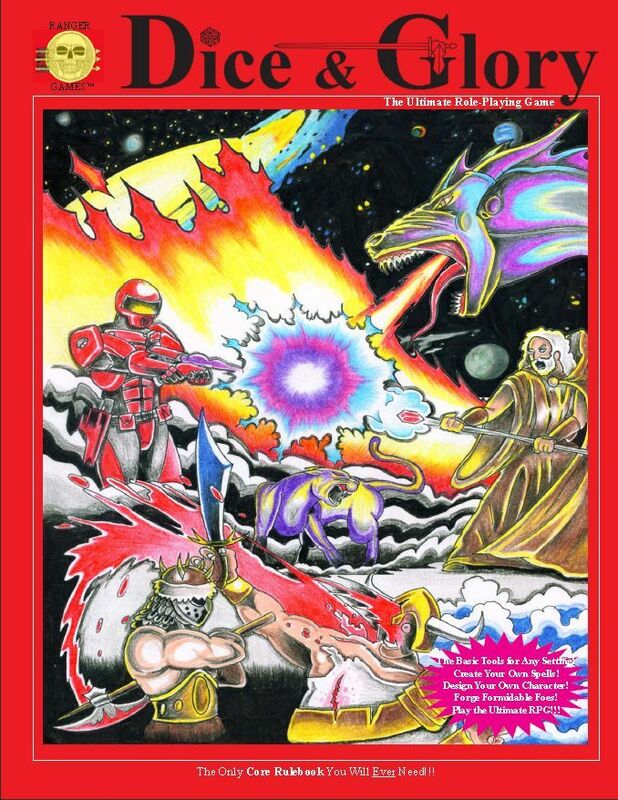 The EW System adapts the fantasy rpg Arkeos rules into a genericsystem. Characters combine four characteristics and four fields with specialties to define their abilities. Players pick archetypes, setting the costs for different add-ons. EW uses a resolution table similar to the Basic Role-Play Resistance Table for most actions. The game received many small supplements, but seems to have ended only a couple of years later. One of the trends on these lists has been re-purposing existing dedicated system engines to universal ones. The grandparent of generic systems, Basic Role-Playing, followed this path. It's not a bad approach: using known mechanics with a proven track record. But it may say something about the engine that it can be stripped out. On the reverse I can only think of a few products shifting the other way. Steve Jackson has done some "Powered by GURPS" versions (Hellboy, Discworld, and the currently KS'ing Dungeon Fantasy) but at least the first two don't make significant changes and could simply be sourcebooks. The Omni System builds on the base mechanics of the classic also-ran frpg, Talislanta. It advertises itself as rule-lite and focused on social aspects of gaming. Omni uses a single d20 for resolution. Attributes and abilities combine with that roll. Talent trees allow for some class-like focus. 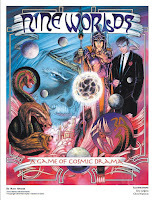 It has a point-buy mechanic described by several as "simpler than GURPS" which may not tell us much. Omni received a few setting sourcebooks from Morrigan: eco, Atlantis: The Second Age, High Medieval. The company itself seems to have shut down shortly after this, though DriveThru still has their products. Khepera Publishing publishes Atlantis now, and several of their games seem to use the mechanics of the Omni System (though not requiring this book). As you might imagine from the name, Open Core offers an open content universal system. At heart it has a simple mechanic: stat + skill + 3d6 versus a target number. That's elaborated by six stats, derived attributes, skills groups, and sub-skills. It has a massive list of these skills, though you could instead just use the groups. Given the length of that list, there’s a surprising scarcity of guidance about shaping different lists for different genres. 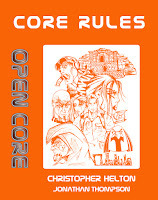 Open Core leans heavily on the skills with some descriptions simple and others sub-systems filled. That flashes me back to some versions of d20. On the other hand the Character Ability section reminds me of Big Eyes, Small Mouth or Mutants & Masterminds. 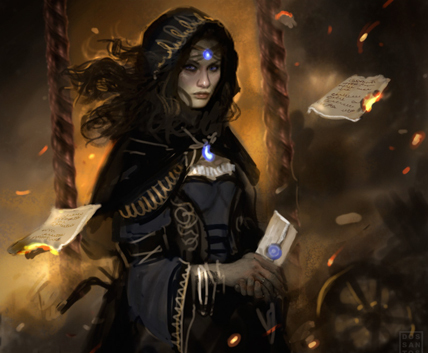 There's an extensive list of effects, many with numerous options you can rank up. This takes up about a quarter of the book. Combat continues this granularity, with different maneuvers and tables of modifiers for ranges, hit location, etc. Open Core offers what I'd call a medium-weight universal system. It wavers between simple mechanics and heavy elaboration. A quick resolution mechanic combines with weapon tables detailing damage types and RoF. It doesn't go for a full point universal build like GURPS, but wants to be a little crunchier than BESM. 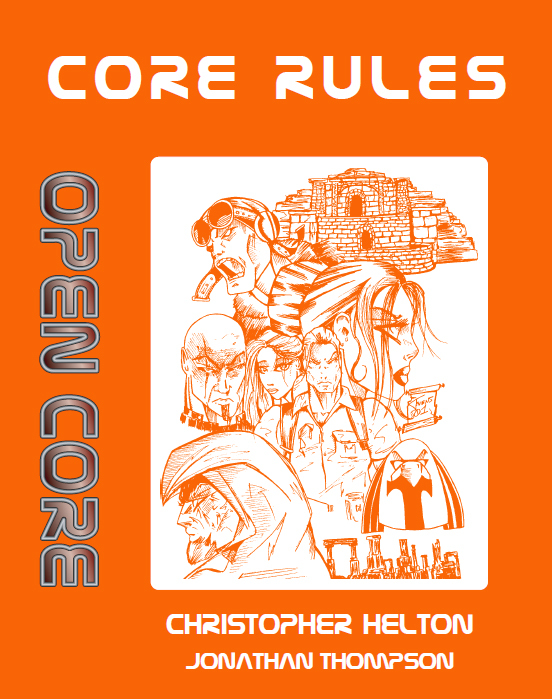 The core book includes rules for magic and other optional sub-systems. 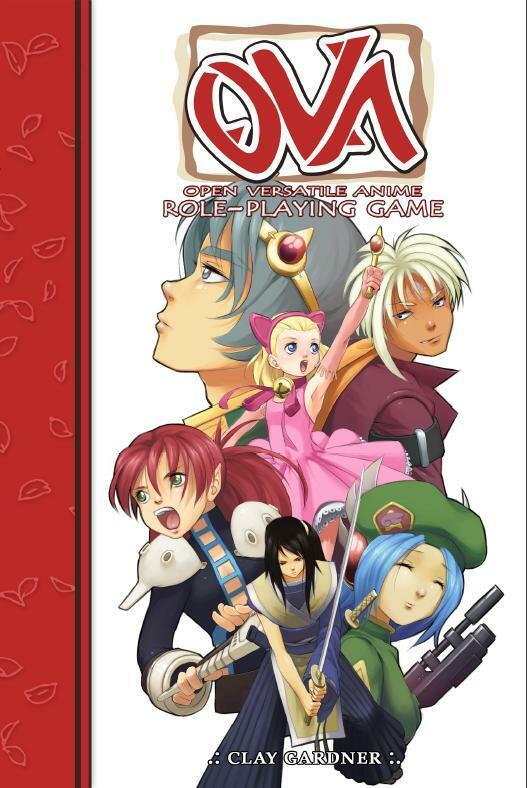 The publisher also released an anime version, Open Anime as well as a quick play edition. I don’t think it’s doing a disservice to OVA to call it the spiritual heir to Big Eyes, Small Mouth. It offers, as you'd imagine, an anime-flavored universal system. Like BESM, it’s a good looking game. After an outline of the character creation process, the rules offer sample characters to use as benchmarks. These use one of OVA’s most interesting rules, “Ground Zero.” Essentially you build characters on Attributes (powers, abilities, qualities, stats) chosen from a list and given a bonus from +1 to +5. You then offset those bonuses with negative attributes (weaknesses, vulnerabilities, disadvantages) given negative values. The total of your positive and negative attributes should be close to zero. The GM has some options to tune this, but it’s a good default. Play feels simple, though some abilities have sub-systems and some can have perks & flaws. Resolution is an easy 2d6 roll. You add or subtract dice based on modifiers, taking the highest with doubles exploding. Overall it’s a solid, clear, system with fast play. It has an anime/manga feel without getting too loopy or distracting. 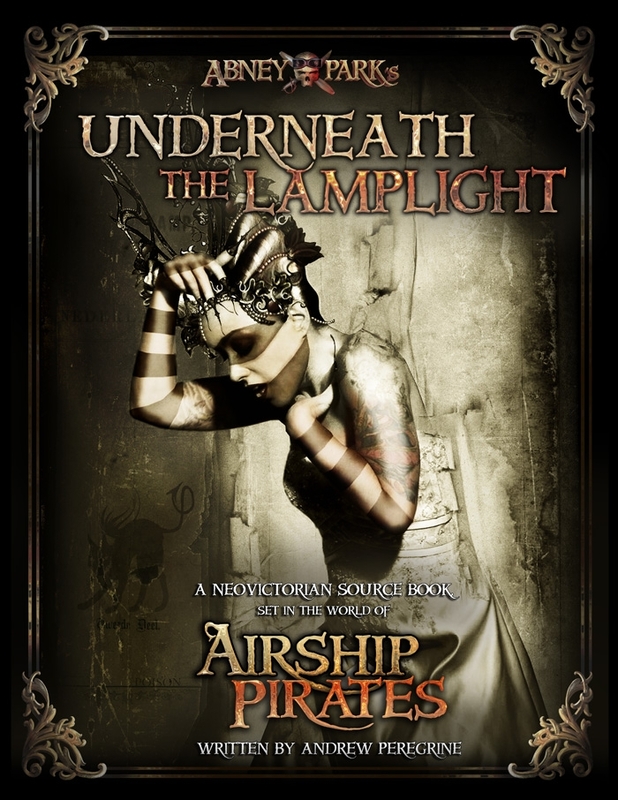 In 2014 Wise Turtle Publishing released a Kickstarter-backed new edition. This looks equally awesome and right now is probably the best high-anime universal rpg on the market. They have several sample character books you can check out to see if the system’s for you. They’ve also released a cross-over book for combining OVA and Golden Sky Stories. A couple of people pointed out the absence of Risus from my earlier lists, since it dates from 1993. In my defense I held off until I could add this, the Excessively Deluxe hardcopy edition. 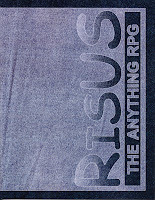 Risus is S. John Ross' "Anything RPG." It offers a super-light, tongue-in-cheek system. Wikipedia has extensivetheories about its genealogy. Risus stands as sovereign over universal micro-rpgs. I've always been surprised at the popularity of these (for example I don't get TWERPS' appeal at all). But Risus feels solid and overcomes my usual sour-face reaction to jokey games. Good writing will do that. The freely available version is only four pages. You build characters with clichés, aspects with values. To set those you divide ten dice among them. "Tools of the Trade" represent working parts of those clichés and can suffer damage. Risus has you rolled against a difficulty number for tasks and uses contests to resolve combats. It's simple, and even the slimmest version has room for advanced rules. Risus works without feeling entirely freeform. So what's in the Excessively Deluxe Edition's 200 pages? 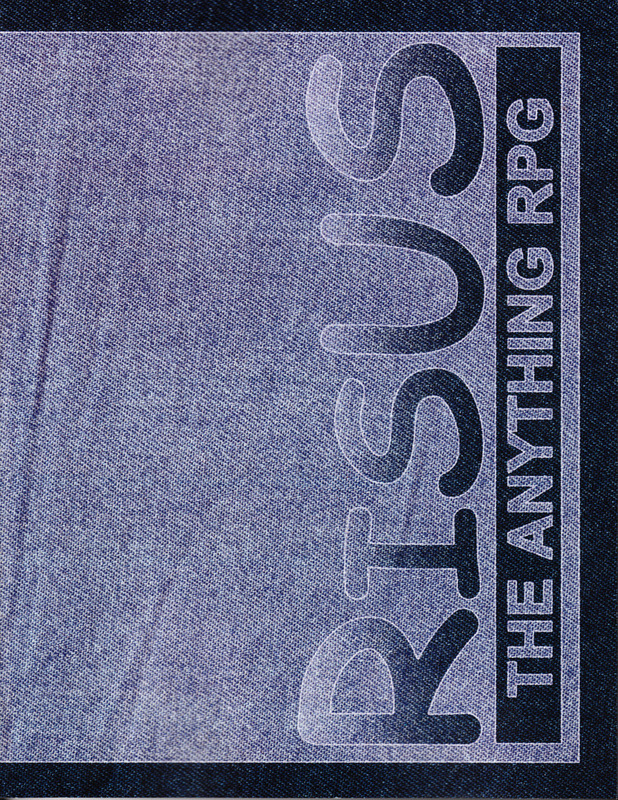 The amazing “Big List of RPG Plots,” the Risus companion, adventures, hooks, and more. While this version itself may be hard to track down, you can easily find most of the component parts online. The success of d20 meant that we'd see multiple designers attempt to simplify and/or make it more universal. WotC itself worked towards that, though they took a more tuned approach. Rather than a big d20 system we got d20 Modern, d20 Past, d20 Future, etc. The DK system is a French attempt to refine the OGL basics and create a useful, universal d20 game. There's some debate about whether they succeed at this. Some reviewers dig the simplifications while others lament the complexity. The core book is described as generic, but it does lean toward fantasy. The few supplements reinforce this impression. To make it universal genre tweaks appear as add-ons in the book. DK ditches d20’s classes but keeps levels. One striking innovation is the eponymous die mechanic of the title, the “dés de Krâsses.” These are dice marked 0, 3, and 6 and players can use them increase die rolls at critical times. 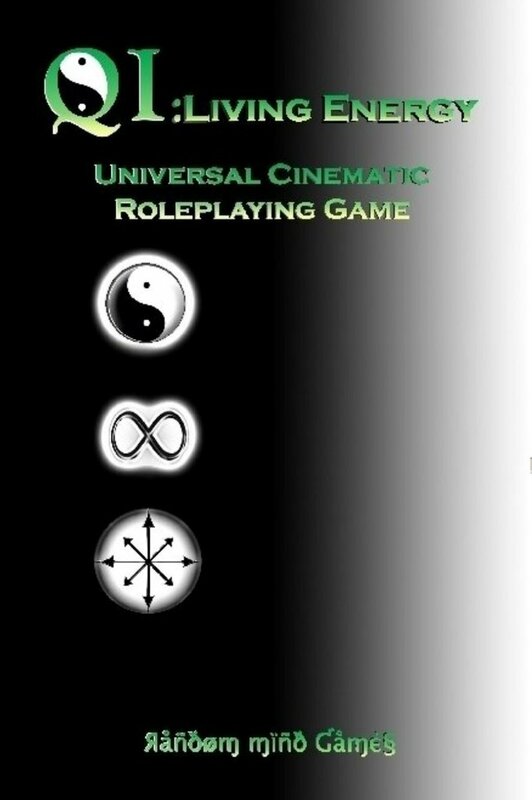 A self-published universal rpg released as a hardcover. Why is it called ghost? I have no idea. The publisher blurb pitches it as completely generic, but other elements (like an included adventure) make me unsure. As well the designer says, "The game includes a novella that describes the setting and interaction between the key figures." Which again suggests there's some kind of backstory and specific world. Designer Eric Petracca has supplemented this with smaller pdf releases like Ghost: Races & Legends and Timeslipper. He also has a Lulu release considering the question of power ala Michel Foucault. Sometimes character sheets make me flinch. Twelve stats, blood type, health broken down into areas with damage forms, backgrounds, weaknesses, a separate page for skills, eleven distinct details for weapons, and more. I've played those games (Aftermath, Living Steel, Space Law). I'm not keen on going back there. When I look at the HDL Quickstart and hit a table of figured characteristics on page one, I tense up. So beyond being a crunchy, high-detail universal system, what is HDL? It’s a point-based game. The HDL of the title refers to the Half-Die Level system. To explain clearly, "Any HDL is a die roll whose maximum is twice the HDL number, using the lowest number of dice with the most similar number of sides. Any roll or check is made using an HDL equal to the applicable stat for the task, plus the character’s skill rating, adjusted by any conditional modifiers." So an HDL of 3 is 1d6, 5 is 1d10, 7 is 1d6 + 1d8. 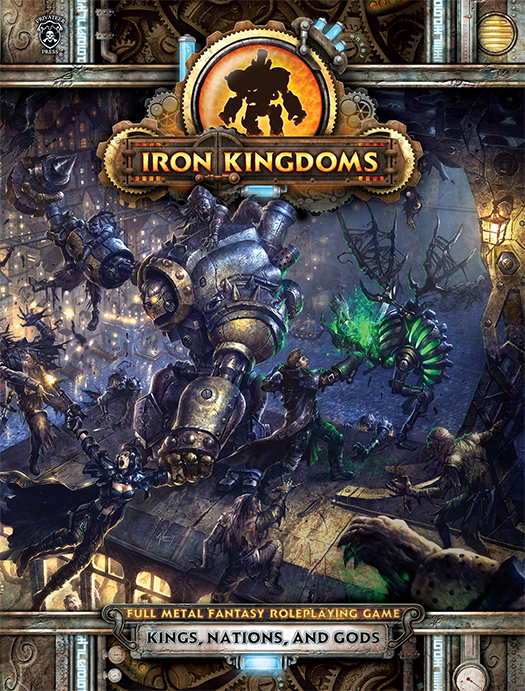 The game has a number of other detailed mechanisms including the "Active Delay Combat System"; unique game cards used for effects, and a spendable energy resource to boost rolls. 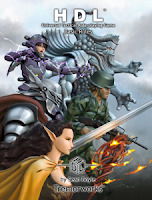 For two interesting reviews of the original HDL see RPGNet and Flames Rising. Tremorworks has a new name for the HDL system. They've created an updated version that the engine called Paragon. That powers their Demongate High, Perfect Horizon 216X, and LUCID: Dreamscape Reality games. There's a quick start and I recommend checking that out to get the full effect. If you like crunchy universal games in the mode of GURPS or HERO, this might be your bag. Meanwhile I'll be over here flinching. Mythic offers your choice of a GM'ed or GM-less universal system with a twist. At heart, it feels like Universalis or Story Engine, with a focus on narrative elements. There's a lot of interpretation, improvisation, and using story logic to determine play. Everything in Mythic is described with a "detail," something close to aspects from Fate and other games. You assign ranks to details, but these aren't absolute, but comparative. In the default form, each character has the same set of starting details: the classic attributes. You can modify these to set the framework of the game you want to play. Mythic offers several options for creating characters, including a point-buy approach. So far, so good. Now Mythic introduces its killer app the Fate Chart and GM Emulator. Every yes/no question ("does X win over Y") is checked on this comparative chart, offering a % chance of success. There's some additional mechanics to the system, but that's the heart of it. Being able to answer a yes/no question becomes important when you come to the GM Emulator. Essentially players randomly determine scene framing. You roll Event Foci including things like “Remote Event,” “NPC action,” “Introduce a New NPC,” “Move toward a Thread,” “Ambiguous Event,” etc. To that you add randomly determined event meanings to color the scene. I'm not doing a great job explaining this- there's a ton of high-level ideas here. Mythic remains one of the most interesting universal rpg toolkits out there. I've seen many posts about using it to help manage campaigns. Some use it for PbP games or solo play. You can buy the whole system in a core book or just the Mythic GM Emulator as a separate product (if you buy the former, you don't need the latter). The company has also released a sourcebook, Mythic Variations, with ideas on how to handle different genres. Mythic is still available online, though the company seems to have stopped releasing new products. A Swedish d6 rpg originally appearing in Fenix, a gaming magazine. 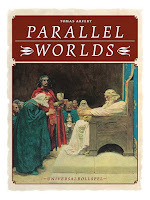 "Parallel Worlds is a role playing game designed to be used in various gaming environments, ranging from classical fantasy, historical adventure to modern campaigns. You can play such diverse things as a Roman centurion, crusaders, English fighter pilot during World War I, samurai, MI6 agent, Aztech, hard-boiled detective or a thief in the old Baghdad." Currently you can download it and several different supplements from the Saga Gameswebsite. Google Translate eventually collapses under the weight if you check out the plain-text version online. Designer Tomas Arfert has made the rules open, allowing anyone to create new material based on it. 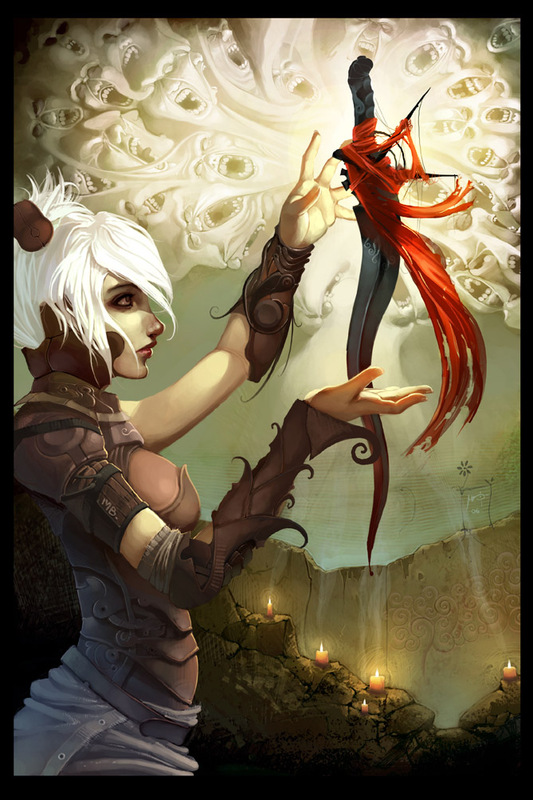 According to the publisher: "The Talent Based Roleplaying System is a generic roleplyaing rulebook describing the TBRS mechanics that can be applied to any setting. Come with chachters sheets, and goes over charachters creation, dice rolling, and how to tackle different setting with the TBRS." (sic) It’s only twelve pages long, but has a soft-cover edition. The only concrete info I can find is that it uses d10s. The publisher has released a single setting book for it. (This brings up a side question. By default I’ve stuck with games that have a printed form. But Lulu Publishing? Does that count as a print publication? Should I leave those items on the list? Not sure yet, but the glut of those on this list means I might have to rethink that approach). 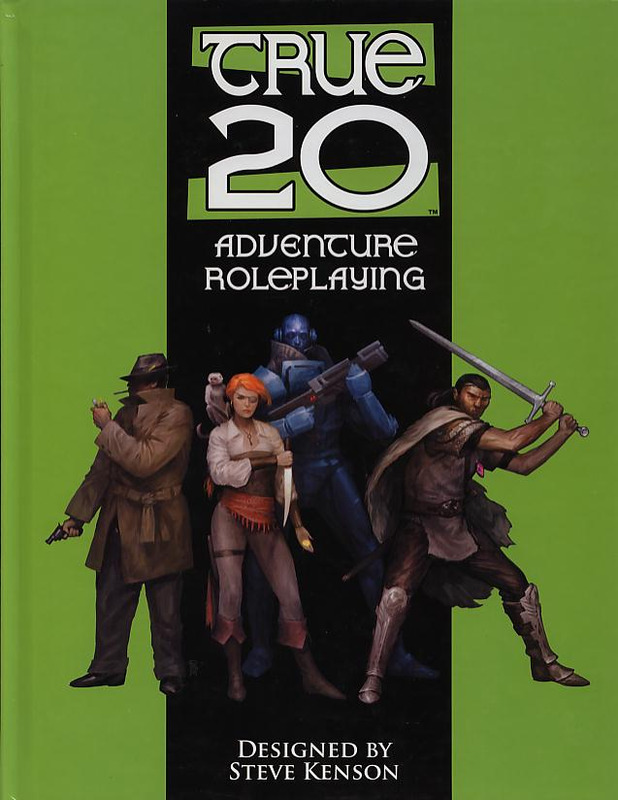 True20 comes out of Mutant & Masterminds, Green Ronin's superhero rpg built on the d20 OGL. We'd played it and enjoyed M&M, giving us hope when they announced they'd a fantasy game with those mechanics, Blue Rose. However, while BR kept some M&M elements (simplicity, damage), it swung back to a conventional level/class/feats approach. 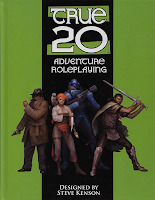 When they later announced True20 we hoped for a simple GURPS-like point-buy system useful for any genre. Again we didn't get that. Point-buy went away in favor of the same level/class approach, though with broad and sweeping class picks. It also adapted the magic system of the excellent The Black Company sourcebook. So I'm of two minds about True20. On the one hand I didn't get the game I'd imagined. On the other, I'm not sure I could have. I don't think I would have enjoyed doing M&M-like builds for everything. I had enough of that with Fantasy HERO. Despite my reservations, I bought into True20- the original slim volume, the later larger one, and all the class supplements. I played in a steampunk-fantasy campaign using it. And my reaction was meh. Yet I kept thinking about how I might use and apply True20. I worked on several frames, but never finished anything. It appeals because does a beautiful job of distilling the essence of d20. True20 offers flexible and quick mechanics. It gives enough signposts that anyone with a d20 background will instinctively know how to work with it. But since I never seriously played d20 some of that draw ended up lost on me. Still I can admire what Green Ronin has done with this, another professional and well-written rpg. Dice & Glory reminds me of Palladium RPGs. There’s a shared aesthetic to the art and a level of detail to the mechanics. There’s also some odd presentation choices. Why are the rules on Insanity & Addiction the second chapter? But D&G isn’t as messy or over-the-top as many of those games. Instead it’s a universal rpg for those who want some crunch and granularity. It has all the classic hits: regular & figured stats, saving throws, alignments, character classes, feats, lots of weapon details, a thick section on armor. Dice & Glory aims to be multiversal action and adventure. It includes distinct rules for magic, psionics, uncanny powers, etc. It even has a take on “The Universe” detailing the planes of existence, different dimensional realms, and wilds of cyberspace. It feels like a love letter to Rifts, and I mean that in a good way (not a Mega-Damage way). All the high-wild elements appear, but without the source’s background and setting. Dice & Glory offers a cleaned up approach, as if someone sat down with the original and tried to create something much more coherent. I think it succeeds in that. The revised second edition core book’s pretty cheap if this at all sounds interesting to you. Ranger Games has also released several supplements, most leaning towards the fantasy side. 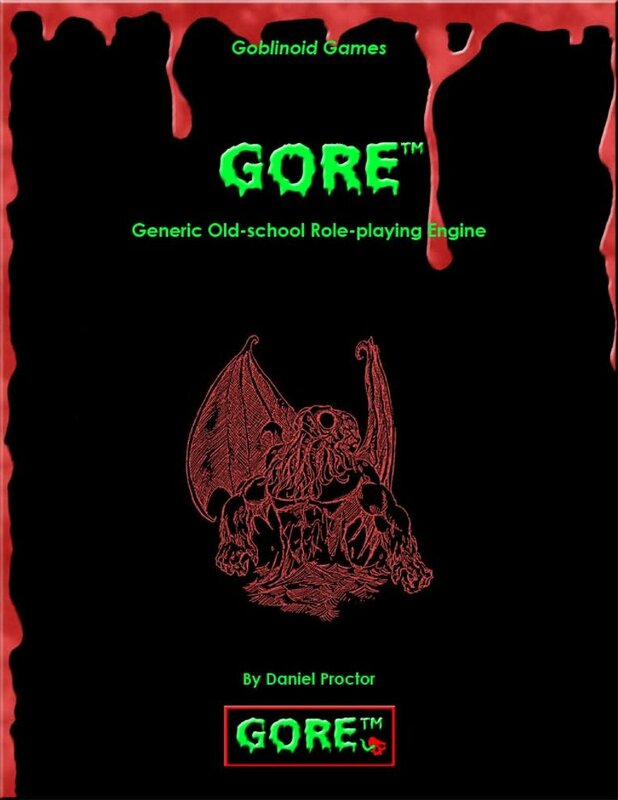 aka "Generic Old-school Role-Playing Engine." The hyphens save it from being GOSRPE. The system uses OGL material and "...newly presents algorithms from 80s role-playing games." It feels classic- with Basic Role-Play-like stats and the ability to improve those with points during play. As well it borrows BRP's Resistance Roll table as the basis for all opposed tests. Skills use a percentage system. The list on offer leans to the modern and a GM will have to tweak it to a particular setting. Overall it feels like someone took BRP, filed the numbers off, and laid down a bare bones system, albeit with a familiar approach to magic. What the system lacks in flavor it makes up for in odd rules choices, like a section on the effects of air pressure. “Sistema per la narrazione interattiva ed il gioco di ruolo.” A short (32 page) Italian universal rpg. It seems to be aimed at beginning players, with the publisher blurb specially mentioning its use in classrooms. Skill-based, it uses d6s for resolution. Apparently the first editions can also be downloaded for free. Everything else I've seen for this generic game describe it...well...generically. Hey! You can buy this as a Nook book! Qi offers another rpg with a Lulu-based printed form. Regardless the designer has set an ambitious mission statement for themselves which you can read here. It showcases some unique ideas, "I set out to write a system of my own that would unify all of the good things about role playing games. It would be truly universal, able to crossover the boundary from traditional tabletop gaming to LARP with a single set of rules. Experience would not be lost when a new character is built but be assigned to the one who earned it, the Player themselves. This pool of experience would be used to balance the group of players while still providing an advantage to those who have been playing longer." I confess that's an approach which never occurred to me. That player-facing emphasis extends to the resolution mechanics, "The need for random resolution would be replaced with a system that let you attempt to outwit your opponent, where the character’s destiny was not only in the hands of the static numbers on a page and a roll of the dice but also the skill of the player." That seems to be built on a system of comparative maneuvers. You can see examples at their site. The concept's ambitious and the company offers a subscription deal for those interested in playing Qi. For $65 you can get one "Operator" (i.e. GM) and 3 Actors (i.e. players) slots. That allows access to a number of supplemental "Realmbooks." I'm unsure if how active Qi is. While it still has the weirdly old-style layout website, you can also jump to a newer front page here. There you can see notes about the development of their new universal game, "Meta" or buy a lovely mug with a stained glass print. 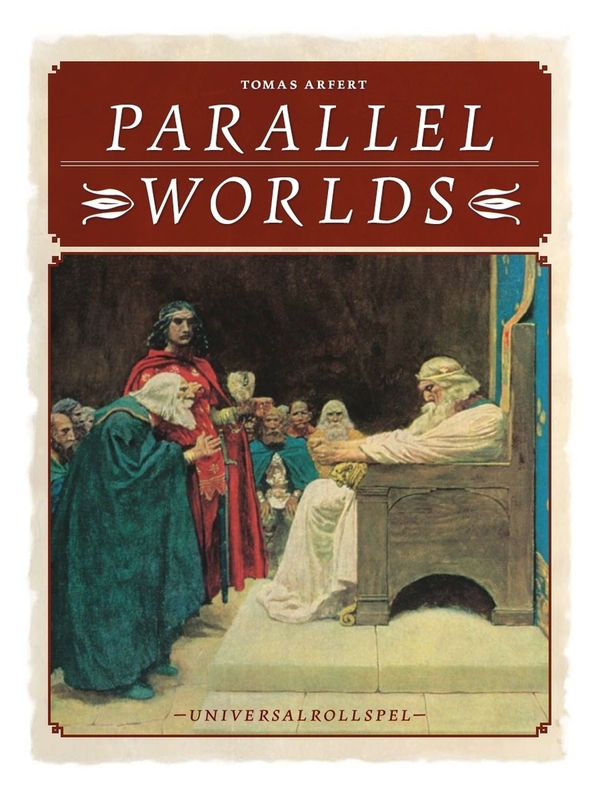 A few universal systems received new or updated system releases during this period: Primetime Adventures 2e, Universalis, Active Exploits Diceless Roleplaying Take2, and the Savage Worlds Explorer’s Edition. Several games appear in this period which come close to being universal. Baba Yaga: The Secret War : OK, this looks kind of awesome. Ancient magics used to fight WW2. The publisher calls it “A complete universal RPG, Skill, and Magic system.” But it’s framed as a specific setting, with notes on adaptation. Gnosis: i signori del mondo: Italian rpg. “When playing Gnosis characters travel through space and time using the real world and history as a background for their adventures.” Reminds me a little of Man, Myth, and Magic. Moebius Adventures: Positions itself as a universal system, but is really a generic medieval fantasy rpg. Mortal Coil: A system for doing all kinds of “supernatural” games. Not necessarily horror, but worlds infused with a degree of weird, magic, or oddness. MOTARUS Master Rulebook: Anthropomorphic Universal rpg. 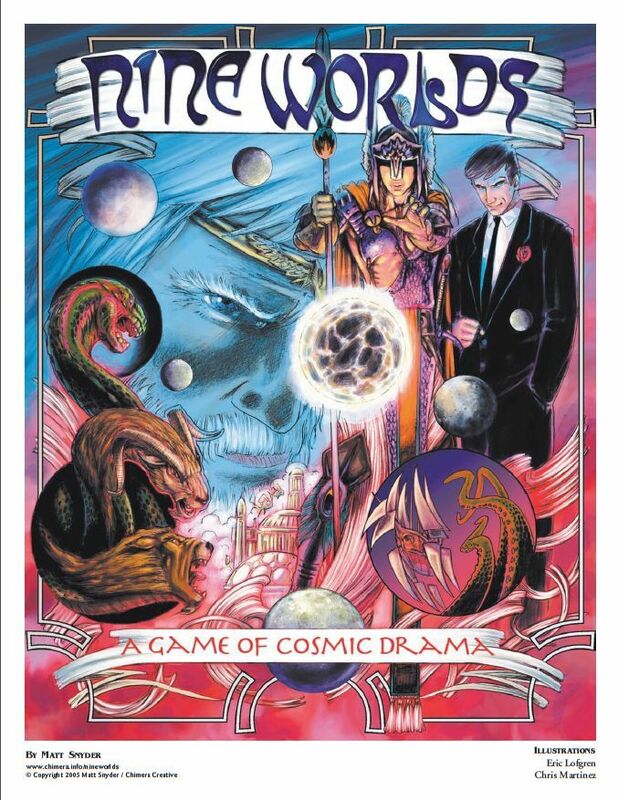 Nine Worlds: Players become “archons,” figures from Greek Myth moving between multiple worlds each with a different tone and genre focus. Story Cards: A card-based universal tool for generating stories in any rpg. 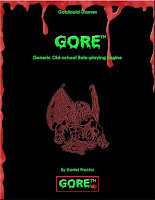 World of Darkness: The core book for White Wolf Onyx Path’s generic system of urban horror. Framed to be useful over many genres and approaches, though with a modern bent. Last week I posted an interlude piece from my Libri Vidicos campaign, a fantasy steampunk school game. Here's part of my campaign prep notes for the game, including an overwrought schedule of things I needed to get done before we played. Just based on my earlier notes it seems as though this is going to be a mixed house where the head of house has interests and there is plotting going on among the lesser members without his knowing. Should probably have the reputation of being the loosest house. On a simple scale I think we can read this as the second most pleasant house, falling between the PC-driven mechanics of Darsksoul and the off-kilter attitudes of the neutral House Thorn. There’s a little bit of a toss up between Malbrect and Zaramar as to who is more dangerous. Certainly Malbrect would appear so and most obvious is about plot, but Zaramar has their own intrigues. Students of this house are not taught about superiority, but instead about the art of conspiracy, of uniting together in secrets. Therefore they have rituals and methods that are not readily understood or seen outside. Think of wheels within wheels here. One of the upperclassman projects is to organize underground groups and set them at one another. While there is a certain amount of naked ambition among the various heads of households, Kinder is perhaps the most quietly serious about someday taking that position. He understands that secrets are a form of power. However he may not see that even he is being manipulated. This is the house that should be presented as the *boo* *hiss* house in the thing. They are the bad guys—even the Rakasta has that wickedness about her—the sense of only the strongest survive. Nearly all of the students in house are nobles and the one’s who are not are the dogsbodies of the House. At least three nasty classic characters there, plus for later perhaps someone who is put upon (this could set up an interesting dynamic especially if they try to get him to join them and he ends up turning around and blowing their cover in order to ingratiate himself with the big boys). This will be the players’ house. In some ways it might appear to be the most inoffensive of the houses, but Lady Fayde is not to be crossed. Saberhagen is also the instructor for the Basic Magical Theory course and amongst the jumpiest of the instructors. Assuming that people play their own gender, there is room for 1-2 more males and 3-4 more females in their age bracket. Ideally I’d like to negate the male character pretty quick—I don’t want any pets; but I can have the female characters there if necessary. Plus, I think the ladies will play off of them better in any case. Reginald X. J. (Wands), Jr.
Jervis Ramtalathan—take out of the players’ House if Steve opts to do the gentleman thief/butler’s son. Need an extensive list of names—perhaps best to make up a set of regional names? Drawing from the various naming traditions. Define the five houses of the school: central naming convention, or drawn from something else. Perhaps related to a story or something. List of notable students and the various alliances—keeping in mind the differentiation of the various years. Names of buildings and place—like a little city. Think of the three starting plot elements for the game—plus a handful of Red Herrings to be played out. There’s the classic thing of fighting agents of an evil—however, we have to understand that there needs to be a limiting factor. If bad things happen, why don’t the kinds go to the adults—what is stopping them. In HP it is the alignment of outside interests that don’t want to hear anything about this. 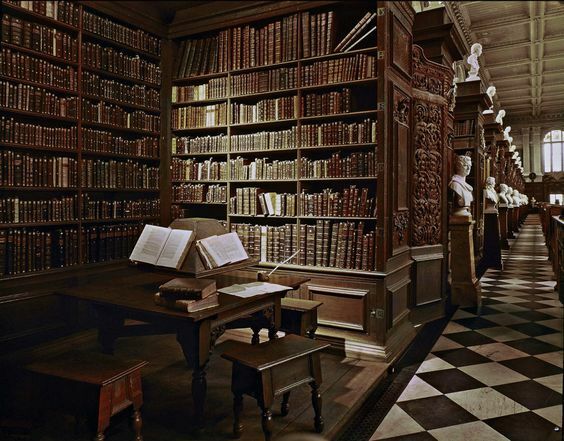 Secret of the Libri Vidicos—there is something about the school here: it was made for some purpose—however, somehow that got changed over the years. But someone from that beginning has survived and lurks in the halls of this place. Perhaps they can discover the purpose of the place—perhaps the person who has remained does not remember themselves. There could be hints about that. I like the idea of their being a threat, something they find out about that leads to a rising confrontation eventually with an agent of figure who is in fact, the servant of some more powerful person behind the scenes. So let’s consider each year as an arc—with the establishment of characters, the introduction of complications, and the eventually defeat of the bad guy or threat to the School. Secret Societies, handed down through the generations—including a lost one, perhaps finding a charter or something. Their items should show them to have been joined and chosen together. But again, I need to come back to the sense that characters will be handling things, and not simply going to adults or informing their parents. A binding? Threats of expulsion? There is the thing that I remember from Blake Holesey where one of the parents of the kids has a parent who is a financier of the college but who is involved in sinister goings-on. That was a nice touch for that show and worked rather well. There are some of those on YouTube to watch for inspiration. Other characters? I’m torn between the desire to keep the universe closed and the desire to have a kind of traveling game. In some ways this is simply a variant on the classic city game. I think at least for the first two arcs, I need to have it closed. The structure of the game will be slightly different from a conventional campaign. First, there is the scope. This is not a traveling game (at least to start). Instead it is much more like an urban or an exploration game. In the first sense that there is a central and static locale that the characters will be living in, meeting characters in, and dealing with the ramifications of choices within. In the second sense that they will be figuring out the features and secrets of this place over time. Second, there is the role. In our classic campaign, characters are competent and independent freebooters. Here characters are young and subject to authority figures. The goals here is not to overthrow authority but instead to make it work for you, to pull one over on it and to thrive despite their attentions. Characters also need to keep in mind reputation and social grouping—how their instructors see them and how other students see them. The various social battles of youth will get played out here, through pranks and quick-thinking more than brute power. The have to be a set of activities which students can decided to participate in: Sports Clubs (perhaps Rugby, perhaps Wickets and Imps), Riding Club, Fencing Club, Book Club, Sewing Club, Host Club, Inventors Club, Ballroom Dance Club, Spirit Club (literally), Language Club, Debate Society, Aviators Club, Some kind of arts club, etc. In competitions with other schools—certainly to start out with the competitions need to come from an intramural setting in order to put all of this into a context. For that reason their should only be three competitive clubs in this regard: Debate, Fencing, and a Sport. Eventually there will be an opening up of this context when we introduce the idea that there are other Libri Vidicos elsewhere. But to start we have to establish a baseline. I imagine at least two of these others have to be from the first and third continents respectively. Originally I had thought that perhaps the setting would allow to have a disguised school that the groups would compete with but let’s leave that aside shall we. For Scott there needs to be at least two other Terratis Elves at the school—each of whom follow a very different path. One should be an agent of the Terratian powers and the other should be someone who has rejected the Elvish ways entirely. Consider carefully about male and female in this—I hate it when he makes inappropriate romantic choices and trivializes the issues presented by such characters. GM Notes I need to make up—talk about how resolution on the part of the GM has to work. Quick reference chart for things. Quick weapon and armor chart for reference. Worksheet for NPCs. Other options for how things operate—for example my allowing Sherri to take Miniaturization as a skill and giving it to her as an add-on that counts against the three limit but doesn’t up the difficulty. Typical Edges and Narrative Use. Making Initiative Quicker. List of Students: Who do we need to have? Libri Vidicos remains among my favorite campaigns. Clocking in at six full years, it offered a magical school set in our long-running fantasy world. The characters began as incoming first years and eventually graduated as senior heroes ready to take their place in the world. I used the school year as a structure for the arcs. Arrival, first semester, winter break, second semester, departure, summer break. I'd throw in field trips and school events. A few times I wrote up extensive emails to give flavor to their breaks or to drop in certain plot points. I crafted some nice stuff and it provided as a good hook for players between sessions. But while I dug it, I might have been better served doing a collaborative montage at the table. Below is the Winter Break write-up from the Second Year. Valmont, Beletan, and some NPCs went to stay with their fellow student Cerise and her strange Shaddai Elf household. Lucy and Sergei went home to their own families, while Sokka stayed on campus. I'm torn about this kind of campaign material. I don't do it as much anymore. While there's some fun and lovely stuff here, it took a lot of solitary time and effort to put together. If I'd applied that energy to creating a cool session covering the same territory at the table, would it have been better? That's the eternal conundrum of the over-prepping GM. Everyone gathers their things together-- instructed to pack lightly, still many have larger bundles with them-- gifts perhaps or perhaps some of them plan to remain at home. It is unclear. Osric sets the wagons up and splits, organizing students together into apparent deliveries. The fifth years are first; beginning early in the morning and through the day, the number of students thins out. However instructors and house masters remain in copious number. You suspect that they're watching for any mischief that might occur during this time. Perhaps that's standard or perhaps this semester has put them on caution. You hear the sounds of the second years of House Darsksoul heading out. They run past Saberhagen as he arrives in the First Year's Common Room. He looks around, doing a quick head count. Then he gestures to gather all of you close at hand. Dentina makes a face. She's had to do a detention with Rosencradle, an older woman who manages, as many people put it, “the bits and pieces.” She keeps pins, ties, bobbins, tape, lids, string and every other various sundry and notion for the school. Dentina spent a full week cleaning ancient scissors. “That means that you may have some strange encounters when you return. Even those who you chose as persons you could inform may not remember where you went-- or they may and then forget again. They and others may mishear what you say, or you may find yourself saying something different from what you'd intended. This is especially true for those of you going to a place that it not your home-- there's some location elements woven in there I expect. Now don't worry about that too much-- it gets better and by the time summer break rolls around it should be sorted out. I suggest you don't dwell on that too much and try to avoid talking about Libri Vidicos around anyone who isn't in the circle...as it were.” Saberhagen looks to make sure everyone take sin the implications. Sergei makes a point to stop Saberhagen before he leaves and ask if there's anything he can bring him back. The Elf pauses for a moment and seems about to ask, then stops. “No...nothing that you can bring back.” He says glumly. Hefting his knapsack over his shoulder Sergei pushes wide the main doors and walks down the step toward the main entry to await his ride home. Light snowflakes have begun to gently fall reminding him of home. His gaze traces the outline of the Vidicos wall and eventually to the main stair where he sees Julianna Vergaxis sitting awaiting the same carriage. He will walk his way over to her and gently set his bag down awaiting her eye contact. He will smile at her admiring her gently features and long hair. " You were great you know... the other day at the dueling finals. You are very good. I've seen Lucy duel many times she is deceptively adept. To score a hit you've done better than many others." Vergeaxis looks carefully at Sergei. “But it is not enough. A test must be passed and not failed. That is the rule of Math. One cannot hope to be Emperor if one fails such tests.” She looks on with more animation than she's shown before. Then she carefully returns to her former quiet demeanor. Arrival at the Shaddai lands is a strange affair-- all of you expect an alien landscape, but it is the same rolling meadows you might find in Miremal, Atlantae or elsewhere. Osric kept a wary eye out as he dropped the four off. He looks carefully Valmont, then Leather, then Beletan before finally looking at Cerise. “You're all sure you wants this place then...” He trails off. “I won't be coming back early for any of ye...” Before any of you can say anything there's a quick whip to the horses and he vanishes with the winds. Once at the estate, Cerise herself is a little surprised by the seriousness of her arrival-- a certain degree of formality she hadn't expected, a laying out of the finest pieces on the table, extra servants brought in, the sounds of a joungleur from the Lesser Pegasi houses practicing out by the pond. Kieran, Cerise's apparently human brother, jostles through and informs Cerise that the family has gone full out for this season, especially once they heard she would would be bringing guests along. Cerise's parents are tall, handsome Shaddai. Malakiim Antigrym especially stares each of Cerise's guests down-- with Valmont managing to hold his glance the longest. Cerise's mother, Epiphany of the Lilies, on the other hand immediately engages her daughter in conversation and only gives a passing glance to her guests. Both seem incredibly proud of her and make much of discussing her rivalry with Harbinger Whitened-Wave. They nod seriously at the injustice of the second test and encourage her to destroy her rival utterly in all ways and forms. There are various gifts and presents for Cerise, but most proudly her father hands her a box filled with assorted ribbons, buttons and silks seemingly taken from around the continent. He explains that he drew some from across the family line as a first coming of age gift for Cerise-- hence the diversity of pieces. On the fourth day, Cerise's mother arrives and presents each of Cerise's guests with a new outfit of formal wear modeled on the Shaddai fashions. Valmont's is quite classic, Leather's is simple and straight-lined, and Beletan's is tasseled with hundreds of silk leaves running along the arms and back. They rustle when he walks. Speaking to Cerise's father proved an experience. A master tradesman, his mind seemed to be occupied with negotiations through the Orb constantly. However a few days in, he saw his daughter and her companions speaking and deliberately cut off distant conversations. His manner was pleasant, towering over Valmont and Beletan, as did most people here. Even Leather had become sensitive to the height issue and found himself stooping a little. As he put it, "I knew they were tall...but all of them are tall." You can tell he's a little worried as to how his Orcish heritage would measure up. “So I take it you're finding everything to your liking?” Malakiim glanced around at the group and took in their nods. The rustling of Beletan's jacket drew his attention and he looked a little warily at him before continuing on. “I was hoping we might be able to travel out to Vendimos where they've carved the cliffs...” He broke off. An ornate glass bowl one of the servants had just placed on the buffet had drawn his attention. “Um...what is that?” He asked now turning his full perceptions to the bowl. It contained a strange dish, like a melted cheese block covered in marmalade and balsamic vinegar. “Geniose, milord,” answered the servant simply. By now all of them had moved over to stare at the bizarre item. “And...you eat that?” Lord Antigrym said trying to puzzle the thing out. That evening the four Darsksoul students watched carefully the mixed expression of dismay and disgust upon Lady Glassong's face as she surveyed the dishes. Epiphany of the Lilies made careful and quiet comments about obtaining dishes carefully suited to her guests' tastes. Still later that evening Leather pronounced the dish disgusting and explained that it tasted exactly as it appeared, marmalade and all. At Libri Vidocos the next day, things grew quiet. 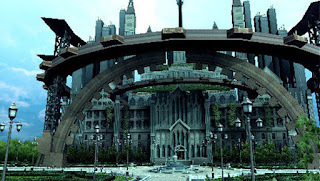 A number of the staff and scholars left via Osric's carriage, some heading out the front gates, while still others just simply weren't anywhere to be found. Saberhagen ushered the various students into House Darsksoul, dividing them out among the floors. Several of the staff also came to settle in here. The first year chaperon turned out to be a very stiff and formal caretaker from House Malbrect. His sniffs and nose turnings up at everything belied his hawk-like gaze. Clearly he intended there be no accusations of impropriety. Thopugh Sokka looked for them, neither Rahella Lancar or her bodyguard were to be seen. It remained fairly quiet over the days, with most students trying to come up with clever games or puzzles, doodling in notebooks, and round after round of Struthos. The food was-- as had been forewarned-- less than stellar, but what it lacked in quality it made up for in abundance. Crick don-Crickens, the assistant head chef had clearly been tasked to clear out certain portions of the stores. So a meal might be made up over various sausages done in a number of different ways, with all the cabbage one could hope to eat set off to the side. So it was strange on the night of Yearturn, when all of the students were called down to the Great Hall, to find the tables heavily laden with most excellent fare-- savory main dishes, lovely fruits, heavily glazed desserts. Most the the staff came through to eat at the buffet, but left quickly. Sokka noticed some of the older students who had chosen to stay over the break eyed the doors carefully and left when they'd finished their meal. But some stayed and eventually, filled with delicious food, everyone leaned back in deepest pleasure. Then the Headmaster called to a few of the staff. They quickly pulled chairs and a few tables over close by one of the great walk-in fireplaces in the hall. Gravast Direlond spoke briefly with his politely vampiric wife and then came down off the stage and sat in a great backed chair positioned centrally by the fire. He called over the remaining students and gestured for them to sit in the arrayed chairs. The dwarf spoke conversationally, asking each about his or her semester, inquiring by name about their classmates and so on. Smallish cups of a candied brandy heavily mixed with sweetmilk were brought to the students. The taste was delicious. It was then that Sokka noticed how the lights in the Hall had been slowly dimmed, the doors shut, and the rest of the staff gone away. The only light now came from the dwindling fire behind the Grandmaster, illuminating and outlining his great chair. It grew hushed in the room and Sokka felt incomparably small in mammoth space of the stone hall. Then the grandmaster reached up and carefully took off his tall black hat and set it down on the floor beside him. Strangely his hair remained perfectly cofuuried, apparently cut to manage the hatband well. But it was the first time Sokka, or any of them, had seen him without a hat. A shiver ran through the group. He spoke slowly now. "Ah, children...students...here we are on the eve of Yearturn. Tomorrow is a day outside the calendar. A strange day...I mean each month governs itself with twenty-eight days, from new moon to full moon to back to new anon. Yet--the darkness holds for one extra day here at the end of the year-- think on that-- else the calendar should grow askew rather rapidly." He nodded sagely at this comment and paused to run his fingers through his raven-black long braided beard. "So a strange day-- one where spirits come out and find full play, a carnival for the darkest of the fey, a time where rules are turned upside down...a time that requires caution lest something truly terrible be bargained with..." He paused to stare directly into Sokka's eyes (or so it seemed). The darkness around the students grew-- if it were possible-- even more dense. The Grandmaster continued, "Now when I was a lad we took this time very seriously, and this hour even more so. You see it grows close to midnight...and soon we will hear the peeling of the bell. Where I come from this was the time when our fathers and grandfathers and uncles would sit down and tell us stories." "And now, I am going to tell you some stories..."
And found themselves rushing down the steps out the Great Hall and out into the courtyard, a courtyard transformed filled with pure unblemished snow perhaps a foot or two deep. Everyone stopped when they hit the cold and the crispness of it. There had been no snow when they'd entered. Now terror transformed to wonder as they stared upwards at the great cascades of lights that glowed and flickered among the stars. The snow itself reflected the lights, from red to blue to green. Sokka barely noticed when Saberhagen came forward and wrapped a cloak around him. He saw the rest of the staff standing by to distribute cloaks to the other children who likewise merely found themselves staring up at the dance of constellations, the light show of fantastic elements battling across the sky. "Now, you'll be feeling tired," the Grandmaster said gently as he came up on Sokka's elbow. And it was true, but at the same time the beauty of the moment held him transfixed. "You should wrap yourself up and head back to bed..." Sokka nodded and followed the procession heading back to House Darsksoul. Each student found beside his or her bed a box of treats-- chocolates, cookies, and other triffles, as well as a larger present resting on the pillow. Sokka opened his to find two new pairs of fine shoes: one of lovely suede decorated with thread and the other more like boots and eminently practical for playing Wickets and Imps. Sokka was overwhelmed, and like the others found himself turning to sleep. But he found none. Each time he closed his eyes monsters from the Grandmaster's stories popped up inside his mind nearly immediately. Sokka was not the first to make his way over to the lamp to turn the light up. He looked over at Riftmaw who had a grave look on his face, and the others as well were sitting up in their beds. None of them said anything, but sat there in silence the rest of the night. At this point Sokka decided he would never sleep again. Yearturn among the Shaddai was a less important event. However over the years the Aperkitas had conspired to make it more and more entertaining. As a result, though no Shaddai officially celebrated, it had become an unofficial gathering time and a three-day truce. During these days old enmities and hatreds could be put aside...mostly. It remained dangerous to court fate too much, for fear that a host might enact some careful plan to keep his guest beyond the three days and therefore achieve a time of reckoning. So the young members of House Darsksoul found themselves at a gathering of Shaddai from across the lands, hosted by Lord Antigrym. Cerise had become used to this, her father carefully bartering deals to quell disputes and making arrangements that would be mutually beneficial to both parties...as well as the Chimera. Where the Dragons settled disputes with a finality and the Unicorn could be counted on to call up years of rules and precedents, the Chimera presented a more relaxed attitude which often drew those who wished to have their settlements kept with some secrecy. But Cerise hadn't seen her family put on quite the show they had this year and felt mildly embarrassed for a moment-- a moment which passed quickly. In fact, the situation had played more into their hands. Through careful consultation of the volumes, they had managed to track down three Shaddai who might have been at Libri Vidicos close to the years that the Explorers Club would have been at its apex...the last years before it vanished. The first was easiest to eliminate from consideration, Vain Talons Setwright, was a Manticore and hardly likely to be within the circles that the Antigryms traveled in. And one usually did not ask about associating with their kind. They were a blood-thirsty folk-- easy to take a slight, difficult to calm from a grievance, and filled with a strange view of humans. Their slavery and indenture policies, often carried out by the last of the Drow among them, made right-thinking Shaddai give them a clear berth. Still they were useful and could be considered masters of certain kinds of conventional warfare. The second choice had required careful and delicate work on Cerise's part. Garsemetha was a Basilisk whose name she'd heard once before. Through her brother she'd managed to arrange an invitation to their house to this Basilisk. It required some convoluted lies trying to pass off who exactly had invited them, but her parents seemed more concerned about handling a particularly grumpy member of House Lamia whose youth apparently made him take most comments as subtle insults. Not that they weren't but generally one did not rise to such challenges. Garsemetha turned out, however, to be a dead end. Loud and boisterous, she tried to make herself the center of attention for each event she attended-- discoursing on swords, swords, and more swords. 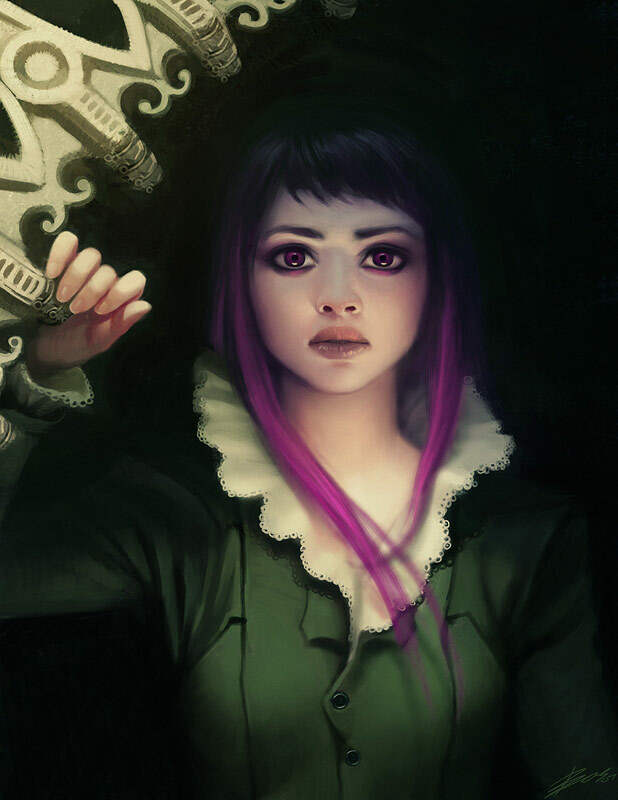 The well trained Chimera staff eventually managed to prise her from the rest of her group, effectively isolating her from the others and giving Cerise and company a chance. However, when asked indirectly and then directly (after it seemed Garsemetha might not be that good at picking up subtle hints), she claimed to have never heard of Libri Vidicos or anything else related to it. They left just as the Basilisk began to suspect they were playing an elaborate joke on her. Cerise's intuition seemed to confirm Garsemetha's lack of knowledge which was as troubling as anything else. 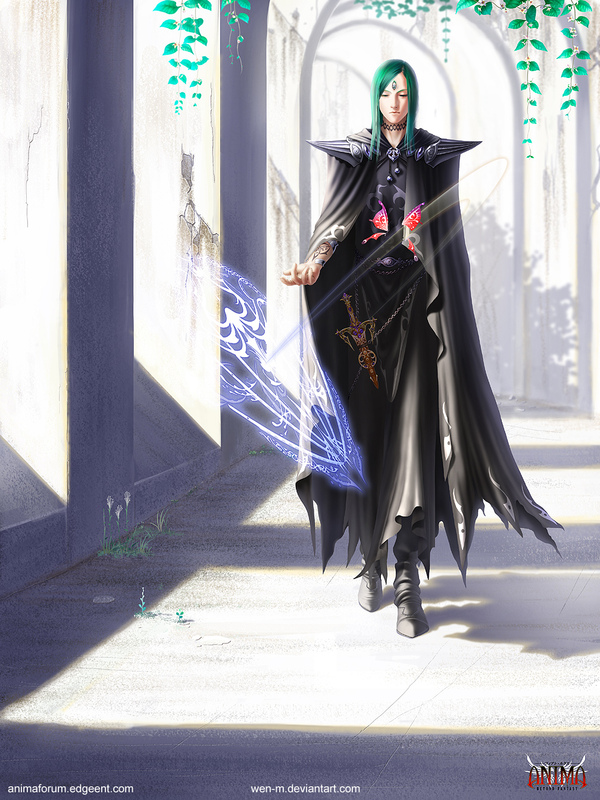 It was as they discussed the final possible Shaddai that their first break appeared. They'd retired to a quiet drawing room to talk about possibilities. Cerise had been unable find out anything about Obrodorus Rising. The name was barely spoken when suddenly a figure seemed to appear out of nowhere. He was of medium height, just below seven foot, an adjunct of House Dragon, dressed modestly in his family's yellows and reds. Cerise cursed herself inwardly-- it was a long-standing rule to exert extra caution when speaking in a house where Dragon were staying. Inevitably, they would find out. There were elaborate ciphers and code words among her household in case of such a thing. But now they'd attracted the attention of this one. "Excuse me" he said in the long drawl of his house. 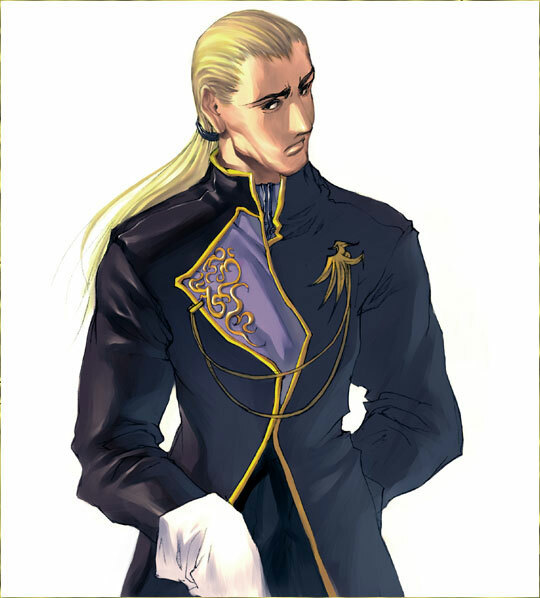 "Did you say Obrodorus Rising...I couldn't help but overhear you say that name..." Valmont looked at the door to the room. He was certain it had been shut and locked the moment before. "Yes we did, we heard of him..." Cerise let that trail off not wanting to give away any more. "Really?" This seemed to strike him as odd. "I would ask what context you heard it in, but I'm dubious about my chances of obtaining a verifiable answer." He looked around at the group, seemingly taking in the diversity among them for the first time. "Yes, well then. I should exercise a little, in my case, or a lot, in your case, of caution when speaking of that one. Among certain circles his name is...was...one to call anger and consternation. You see for a brief period, what...perhaps a blink ago, he was regarded as the greatest thief among the Shaddai. But a bold one-- rising from nowhere, pulling off daring burglaries, and then vanishing-- half a blink ago." Beletan quickly ran that in his head. Cerise had said that a blink was what, five years...but wait, the Dragon counted them as ten years...which meant that this could fit. "And what became of him?" Cerise asked. "Ah, that's a real question. Some think he retired, some think a guard managed to kill him and then covered it up in the hopes of finding Rising's treasure. There was rumor that he'd been caught by the Unicorn who have a distinct sense of justice and many reasons to wish Rising more ill than most." He stopped there and looked around at them. "Still others believe that it came out that Obrodorus Rising was in fact a member of House Dragon and when that news came out, the Cabal Who Sit Watching decided it was time to remove Rising before he could do serious damage to the family's name. That or use him as a pawn. In any case he hasn't been seen in what would be a long time for all of you." His gesture included Cerise in this, but she deliberately ignored it. The Dragon excused himself and departed. No one spoke for a moment. Then Leather finally broke the silence, "Um, that guy made me feel like I was edible." Lucy watched as her mother set the starter thread on the Silk Spider Loom. The first spider, marked a proud gold, ran down the line. When it reached the bottom of the frame, the signal was passed and dozens more crawled out from the wooden frame and began to spin and weave the sheet. They moved a little sluggishly, having been poisoned just enough so that their threads came out a rich green. Lucy's mother turned back to her again, "Your sister seems upset but I can't for the life of me say why...I was going to ask you about it but..." she trailed off. "Perhaps you should go play with your bolts...and pins...and whatnot..." she smiled at her daughter. The enchantment was, as Saberhagen warned, somewhat odd in operation. When they'd first returned back Elenore had rushed to her mother's side and then dragged her off to tell her, half sobbing, about her semester at Libri Vidicos. However, since Lucy had not included her mother in the secret of her attended the school, apparently every time Elenore mentioned Lucy, her mother lost track of the story. Lucy decided that something must have upset Elenore deeply and that she'd devote more time to her sister next semester in an effort to make things better. Her father chatted with her, reservedly at first but then with more animation as Lucy described her developments in the art of spell-casting. "Ah, well that's a relief. I thought you might not move beyond the Third Principatic Maxim..." He watched her cast a few spells and corrected her on some matters of form, pleased to be able to give some direction. 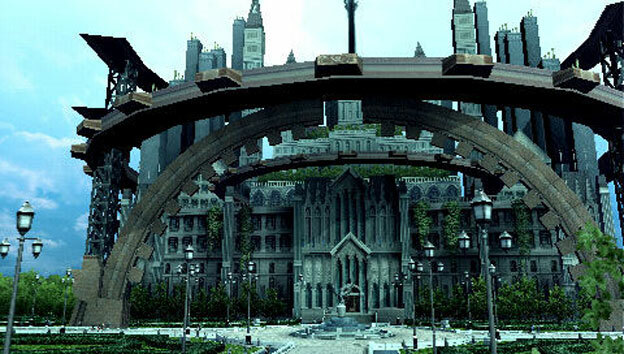 He then explained that he'd hinted to people that Lucy had been sent to a boarding school-- perhaps one in Ierendi. Since the awful d'Aubaines had split from d'Ambreville, their names had become mud generally (though some respected their ability) which meant that few people would pry into Lucy's business. As an added bonus other members of her own extended family had apparently sent gifts to Lucy when they found out she would not be attending the great school of magic at Glaantri City. The best perhaps was Yearturn itself, a day that always brought the family and everyone together. It would be this day that the wards would have to be renewed, the traps cleaned, the bindings reset and the threats clearly delineated on the grounds. Lucy waited as her father divided out the tasks and areas. She hoped she wouldn't be paired with Selezarnau as he constantly munched on herbals to control his skin condition. He spat when he spoke as well making for a fragrant and sticky spray in front of him. To her surprise her father walked over and handed a brass needle and a box. "These are for you-- you'll need them to handle your section." This year she would have her own! Lucy opened the box to find a wand made of a dark black wood, twisted and polished to a sheen. The handle had been carefully carved to settle gently into her hand. The d'Aubaines, like all right-thinkng Aoniaens had lifelike duplicate homonculi so they could take measurements even if one of the family members was away. "It is the heart wood from a Raventree, killed by lightning. Very rare. They were able to get only three from this one before the tree corpse escaped." 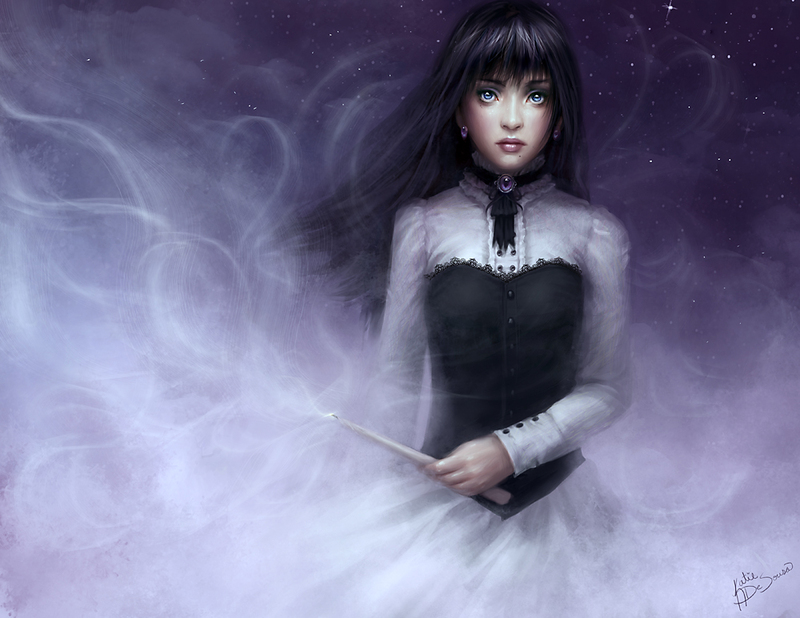 Lucy shook the wand gently and tiny black feather blossomed in the air. He father continued, "Now I've had it reinforced in case you should drop it...or fall on it...or something of that sort." He looked down at his daughter fairly proudly now. "Well you should get to your section. If you're good I'll let you sit in on the chaining of the ancestral transgressors later this evening..."
The exertions of Yearturn had finally gotten to Sergei. He managed to extricate himself from the last of the celebrants-- young women of favorable houses who were desperately vying for his attention. The depths of the winter meant that the holiday could not be spent in Ursus easily. He'd done that three times in his life, twice with his parents and once by himself. Once the Lock Snow fell, then everything quieted down and they would tell stories, do crafts and generally try to keep themselves from growing wroth with one another. Sergei had loved it-- sneaking outside, finding the old paths in the ruined portion of the keep, the careful management of food and resources to make sure that no one starved. Holidays in Math were both more open and more regimented. There was a schedule for everything and though it was all entertaining, it was wearing and restrictive at the same time. On the other hand, holidays in Atlantae like this one, were never the same twice. This year they'd managed to keep their arrival back in the country a secret until the last minute. Still word eventually spread and so began the great series of visitations and invitations from nobility of Atlantae wishing to ingratiate themselves with the head of House Rosznar. Not that Gallina had formally called herself that for some time, having turned the reins over to others, but it was well known she had influence in many areas including-- at times-- the ear of the Emperor. And not that some of the people who arrived weren't true friends-- people Sergei had known for years, some whom he'd gone to school with. But there were enough who had a desperation to them to make it an effort to remain entertaining and civil. Beyond that there had been the question of his friends. They'd mostly gone off to a school together, though a few had taken apprenticeships. Sergei could tell them nothing of where he'd been and evaded the questions. This didn't seem a surprise to them and that struck him. They'd expected no answers from him. The more he thought about it, the more he realized he'd always been kind of an outsider here. Not that he didn't like them or they, he. But instead he'd always kept himself a little apart from things. Libri Vidicos had been the first time, he thought, that he'd been willing to connect with people beyond his family. He's made his way to his father's second study, a place he'd always enjoyed for hiding away. As he shut the door, he noticed the seat closest to the fire was occupied. He moved to see who else had escaped from the party. 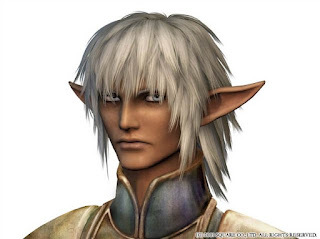 An older gentleman, perhaps his father's age, hair gone half grey and an Atlantaen by his skin tone. He had seen the man before but it took him a few minutes to place him, as he had never actually spoken to him. "Lord Cromnor..." Sergei said somewhat hesitantly. The man had been smoking his pipe and staring deeply into the fire. He didn't start, but instead turned and looked at Sergei appraisingly and then smiled. "Ah, Gallina's son, Sergei. Please come and sit and join me." He gestured to the chair next to him. "I've stolen a pot of hot chocolate from the sideboard. Perhaps you'll want a cup as well." Manners had taught him not to refuse such a gift. He took the cup in his hands and waited, as the older man seemed to have something he wanted to say. "Ah, you truly have taken up your father's grace and looks. I can see by your hands you have been practicing more heavily with your sword as well. But not, I think, with the Archers? That's well-- I dare say you'll do better learning outside of Atlantae, and bringing those ideas back to us. You'll do well." "No, no...call me Delcat." He stopped. "You know, my own son would have been about your age." Sergei thought for a moment trying to place this-- what had mother told him about Cromnor. Somehow he was related to the late Basho...tied into that complex geneology of the former and present Imperial line. Wait, that was it-- he'd married Basho's sister, Lady Cynowae, but he'd never heard her spoken of in full-- just mentioned in passing. "I'm sorry...I didn't know him." Delcat looked up-- startled a little realizing how he'd drifted off. "No, no-- I'm sorry. The Yearturn always gets me thinking. And a bad thing. It is best to finish one's business and get things cleared out before the new year begins. I'm grateful for your mother's invitation, but I'm less festive than one might wish." The door opened and Sergei saw a man look in. Sergei leapt to his feet. "Master Harkvrag..."
The grand Ursan hunter of undead strode into the room. "Lord Sergei...come here and let me have a look at you." Sergei walked forward eagerly. Where a women would simply hold you by the shoulders and beam down a smile upon you, Master Harkvrag meant what he said. He took Sergei by the shoulders and turned him around checking the line of his clothing, his hands, his boots. "You look good-- well cared for and perhaps a little more carefully attired? You have been in the company of ladies, no? But I can see by your hands that you have been practicing..." He laughed a little. "That's what I said..." came Delcat's voice from the chair. Harkvrag looked past Sergei and saw the other man. "Lord Cromnor...Delcat..." he moved forward, keeping Sergei with him. "It is good to see you, Despatir. To have confirmation that you still live is always a blessing." Cromnor sat himself up straighter. Harkvrag smiled as he looked down upon him, then he turned to Sergei. "Sergei, I will be here for a few days, and I have a few books in my bags for you. We can talk in the morning, but for now I would wish to have words with Lord Cromnor..." He glanced at the door. Sergei took the hint and bowed carefully to both of them. He then turned and headed for the door, at the same time carefully wrapping the shadows around him-- he concentrated with all his might not to call down heavenly cherubs to cast the spell and managed to affect it subtlely. Outside he stopped try to hear their conversation. Harkvrag had seated himself in the chair Sergei had just vacated. "Delcat...I am sorry, but there is still no word of her..." He broke off. Cromnor paused before speaking. "I had not expected any. You and the others have been too good to keep this in your attentions for so long. I am an old man now and must let this go..."
"No older than I," Harkvrag countered. "But you stay in your house--now come and ride with me, or with Sheridan, or even Julian...though only the last case if you want to drink more wine than you can handle." The two men laughed and suddenly Sergei realized someone was standing behind him. His mother was watching him patiently. She shook her head. "Listening at keyholes is an unbecoming trait-- especially if anyone coming along here can see you at it. I raised you better than that." She swatted him gently on the cheek. "Next time, use a sound spell, or invisibility or something if you really wish to eavesdrop. Now, you need to do one more pass through the guests before I let you escape for the evening..."